The lake districts of Chile and Argentina are beautiful regions with mountain lakes, national parks and the peaks of the Andes mountains contributing to make it an area of outstanding natural beauty. One of the great ways of experiencing this is to take the trip from Bariloche in Argentina to Puerto Varas in Chile across the Andes. This journey comprises boat trips across three lakes and four road journeys connecting them and the destinations. From Bariloche, the first boat is boarded at Puerto Panuelo to sail along Lake Nahuel Huapi to Puerto Blest. 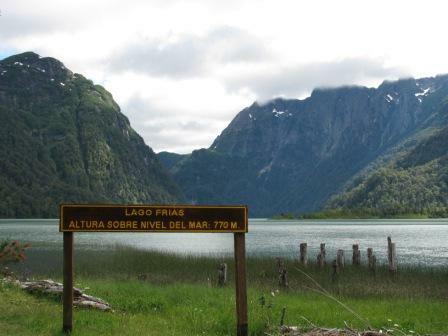 A short drive takes you to Puerto Alegre for a short cruise on Lake Frias to Puerto Frias. Here you pass through Argentine customs and drive through the beautiful Perez Rosales National Park to Peulla, officially crossing the border en route. From Peulla, the final boat ride across Lake Todos los Santos takes you to Petrohue, where you drive to the destination of Puerto Varas on the shores of the stunning Lake Llanquihue. The trip also runs in reverse from Puerto Varas to Bariloche along the same route. Organised group tours: Click here to see 3 tours to Santiago - Buenos Aires which may include Crossing the Andes.